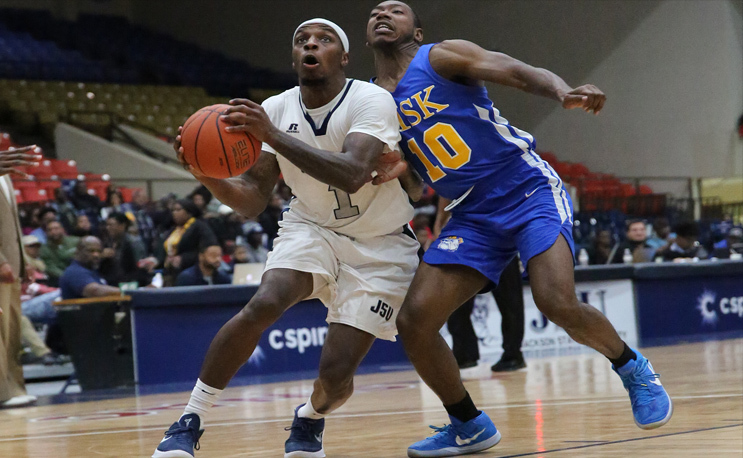 Jackson State almost fumbled the bag, but managed to hand Grambling its fourth SWAC loss in seven games. GRAMBLING, La. | The Grambling State University men’s basketball team trailed by as many as 12 points in the second quarter and cut the margin to one twice over the final 35 seconds, but came up short against Jackson State, 65-63, in a Southwestern Athletic Conference (SWAC) game on Saturday at the Fredrick C. Hobdy Assembly Center.